On Sunday afternoon, June 3, from 4 to 6 p.m., the Unitarian Universalist Congregation of Erie is hosting the 7th annual Kate Buczek Memorial Concert, featuring “Razzer’s Jazzers” Dixieland Band from Jamestown NY and local favorites the Derf Hopsecger Quartet ’18. Kate Buczek was a jazz music aficionado. She enjoyed taking family and friends with her to New Orleans for its Jazz and Heritage Festivals. Among her favorite musicians were Louie Armstrong, Miles Davis and Thelonious Monk. After Kate died in 2010, at age 91, memorial gifts from her many friends were designated to fund annual concerts at the Unitarian Universalist church where, for many decades, she was an active member and supporter. Named for the founder, Ralph “Razz” Rasmusson, this band has played in many venues in Western New York. The group specializes in traditional New Orleans Dixieland music. Its repertoire includes many standards of this idiom, including Bill Bailey, Struttin’ With Some Barbecue and Down Yonder in New Orleans. Tom Gestwicki, our bass man, performs often in the Erie area as guitarist and bassist. 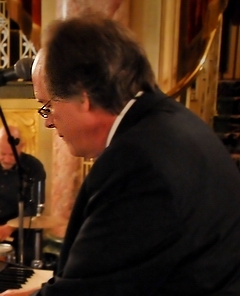 Frank Farina, keyboard player, is well known in Erie and Fredonia regions for his piano skills; he plays with top-shelf touring musicians and is a long-time associate of Razz. You will be uplifted and entertained by Becky Matzak, a marvelously talented multi-instrumentalist from the Erie area who will play trumpet on this gig (she can also play piano, bass, trombone, and sax). Becky also sings beautifully, as you will realize on June 3rd! Drummer Joe Matzak is well known for his polka band, jazz and entertainment skills. Trombone man Chris Wakefield has spent several years in Chicago. Currently teaching in Clymer, Chris plays with The Chautauqua Institution Dixie Lakesiders, and Razz. 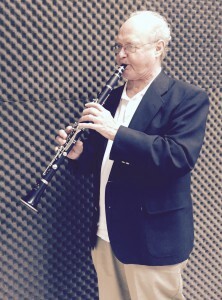 The Jazzers’ leader, Ralph "Razz" Rasmusson, plays sax, clarinet and flute. His lengthy career in the dixie tradition includes 21 years with Dixie on the Deck in Bemus Point and several years with The Lakesiders. Razz performs often at Jamestown Community College (where he also teaches) and in the Warren area. In 2014 he led Razzer’s Jazzers in a main stage performance at Chautauqua Institute. Razz also leads the Pearl City Jazz, an 18-piece big band. Derf has been involved with music for nearly five decades. As a bassist, pianist, synthesist, and vocalist he has performed styles as varied as power-trio rock, jazz, classical, big band and opera, with various stops in between. He has performed at New York City’s legendary Birdland as well as the Chautauqua Institution. He has sung with the Erie Philharmonic Chorus and Presque Isle Chorale, accompanied The Lettermen, and been a vocal soloist in Joe Negri’s Mass of Hope. Louis joined the Erie Junior Philharmonic while in high school. He earned his bachelor’s degree in music performance from West Virginia University. In 1981 he joined the Erie Philharmonic and the Erie Chamber Orchestras. He formed the “Strada Duo” with Keita Fukushima; they toured Japan as well as performed at Carnegie Hall in 2007. Louis has researched Moondog’s life and music and produced “Project Moondog” at Mercyhurst University. David’s musical collaborations include: Concourse with Charles Ventrello, The Heliotropes, the James Madden Quartet, Field Theory, Quintessence with Basil Ronzitti, Marty O’Connor, Potato Battery, the Roger Montgomery Blues Band, The Garage Band, the Valerie Horton Brown Project, AZQ featuring Allen Zurcher, and DH Jazz Express. He has also provided musical accompaniment for Shen and Bones Performance Group and for DiBello and Bodine Present. Rik has been active on the Erie music scene since the late ’60s. Beginning with The Lens through the Ron Seggi Show and Judy SmitTrio, to Duke Sherman, Marty O’Connor & Friends, the Sam Hyman Band, and DH Jazz Express, he always brings a solid groove and creativity.